Give your pet the chance to play and socialize with other pets at our dog daycare. Your dog is cared for by a loving staff, and will enjoy a large yard to play in. 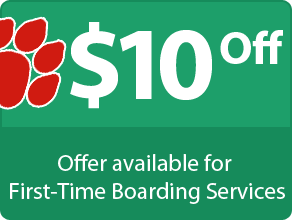 We also offer convenient, flexible scheduling for pet owners utilizing our boarding services. Customers come to Arcade Creek Kennels for our convenient location and expansive play yard. However, our experienced staff also provides dog grooming in a loving environment. Plus, pet playtime is free of charge with your grooming or boarding services. Arcade Creek Kennels is home to a knowledgeable pet care staff with more than 15 years of experience in Sacramento, California. Though our services focus on dogs, we also offer pet boarding and grooming for cats, rabbits, and possibly other animals. As a family-owned-and-operated business, we remain dedicated to satisfying both customers and their pets. Pets weighing less than 50 lbs. are $33 per night, those heavier than 50 lbs. are $35 per night, and discounts are given for multiple pets, military members, seniors, and those staying 21-days or longer. Our mission is to provide superior services with integrity for both pets and pet owners. Contact us for more information about our pet care services.